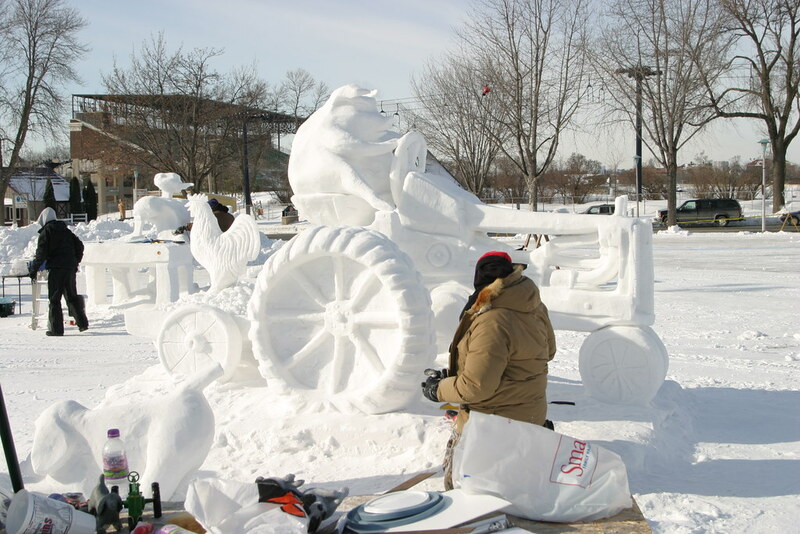 I can't quite tell if the gentleman on his knees is still in the process of carving this snow sculpture at St. Paul, Minnesota's Winter Carnival or if he's working on another on in the forground but I must say that the image of a pig driving a tractor carved in snow is at least worthy of a laugh. Do you have any of frozen Lake Pepin? I haven't thought of that subject but will take it in to consideration!